Evening Lavender: VanityTrove is available in Malaysia now! Happy New Year! VanityTrove has hit the Malaysian shore! VanityTrove was inspired by the concept of fukuburuko, the mystery grab bag style of presenting products from the fashion hub of Japan. 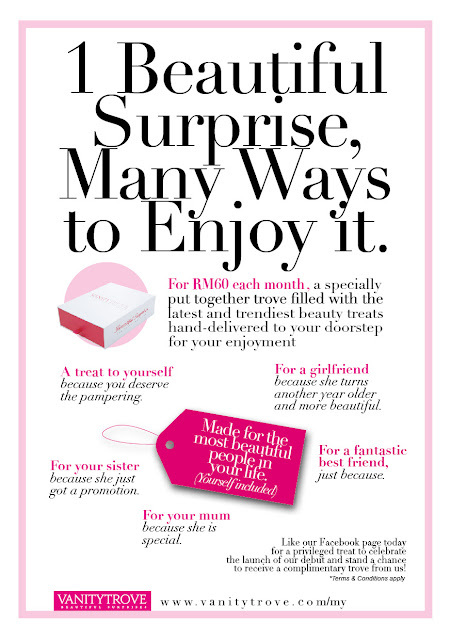 Sign up for an account and subscribe to the service on www.VanityTrove.com/my for the monthly subscription fee of RM60/- (inclusive of packing, shipping & handling fees) or choose the 3, 6, 12 months subscription options to get credits that goes towards redeeming a complimentary trove! 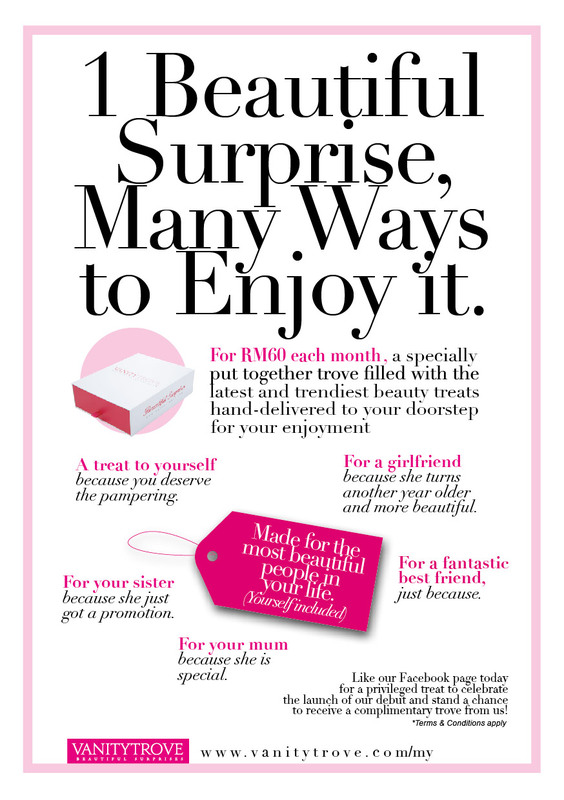 Receive the troves hand-delivered to you and enjoy the beautiful surprises within it! Try and share it with your beauty buddies. For RM60, you will receive beauty products selected by Vanity Trove beauty expert behind the scene so that you can try the latest beauty products in the market.